We’re back with our Berlin startup Q3 Funding Analysis! Want to brush up first? Don’t miss our Q1/Q2 report. What a quarter! With only fourteen of the twenty-nine startups that announced funding reporting exact numbers, Berlin saw close to $493M in investments in Q3, of which more than two-thirds came from Delivery Hero’s biggest round ever. Let’s dive in. Once again, our data was sourced first through CBInsights, then cross-referenced with press releases, Berlin blogs, and Crunchbase. Obviously, it is not perfect. If you spot an error or something we’ve missed, shoot an email to kalie@datapine.com and we promise to check it out. 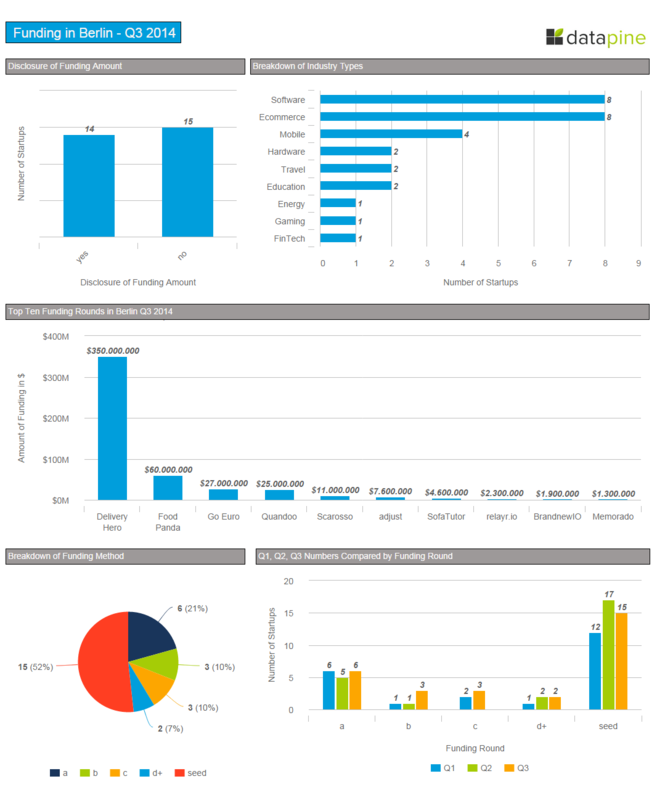 All data was analyzed and visualized with our data visualization and dashboard software. Twenty-nine startups announced funding in Q3, which is slightly higher than both Q1 (27) and Q2 (26). There were four acquisitions of Berlin startups in Q3. Toroleo, a Project A company, was acquired by Delticom AG for an undisclosed price. The amount is thought to be small since it was recently reported that Toroleo had hit hard times and laid off twenty employees. Yukka, a big data startup, was acquired by Neunorm Verwaltungs GmbH, a private equity company, in an undisclosed deal. FontShop International GmbH was acquired by Monotype Imaging Holdings. The deal is structured as three transactions with an aggregate cash purchase price of approximately $13 million. SightIO, which builds computer vision technology for ranking photos, was acquired by another Berlin startup, EyeEm, for an undisclosed amount. 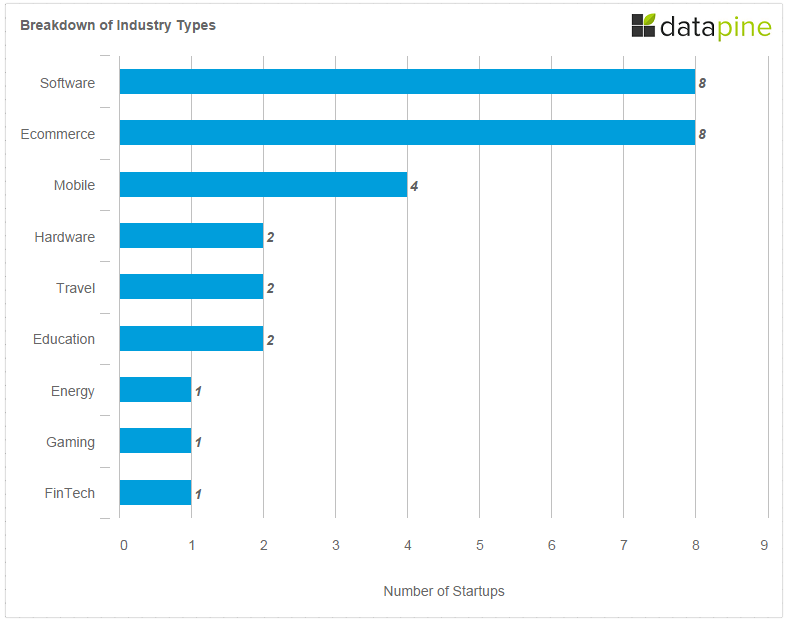 Of the twenty-nine startups that received funding, only fourteen reported actual numbers. The number of startups that received funding was higher than in the previous quarters, but the number that disclosed funding amounts was considerably lower. In Q1 eighteen out of twenty-seven startups disclosed funding, and in Q2 eighteen out of twenty-six did. As is standard in Berlin, and consistent with Q1/Q2, most of the funded companies are ecommerce (8) and software (8) related. Those industries were followed by mobile (4), Hardware (2), Travel (2), and Education (2). The list is rounded out with one investment each in the Fintech, Energy, and Gaming industries. 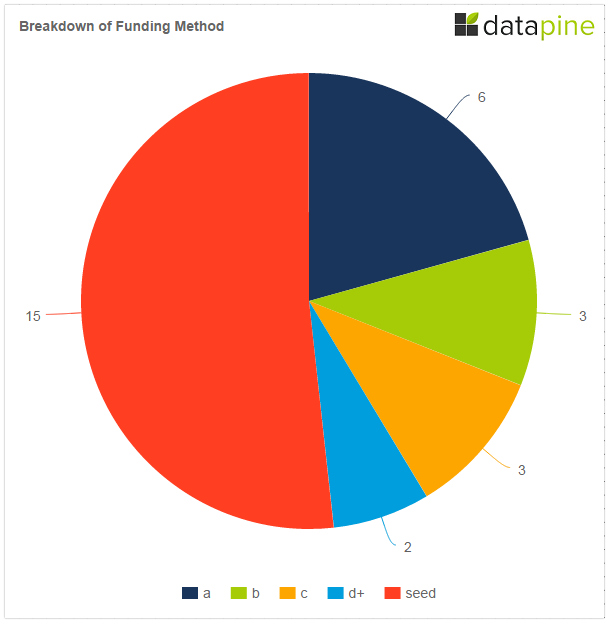 The funding method breakdown follows the previous pattern. Fifteen companies received seed funding. Berlin saw six Series A rounds, three Series B, three Series C, one Series D, and one Series G.
Delivery Hero was Berlin’s wunderkinder for Q1 and Q2 and again in Q3! They raised $88M in Q1, followed by $85M in Q2. In Q3 Delivery Hero announced their highest round ever, a $350M Series G round, bringing the total raised to $635M. Delivery Hero also made news in Q3 for acquiring competitor Pizza.de, bringing their total valuation over $1 billion. The online food delivery market keeps getting hotter. 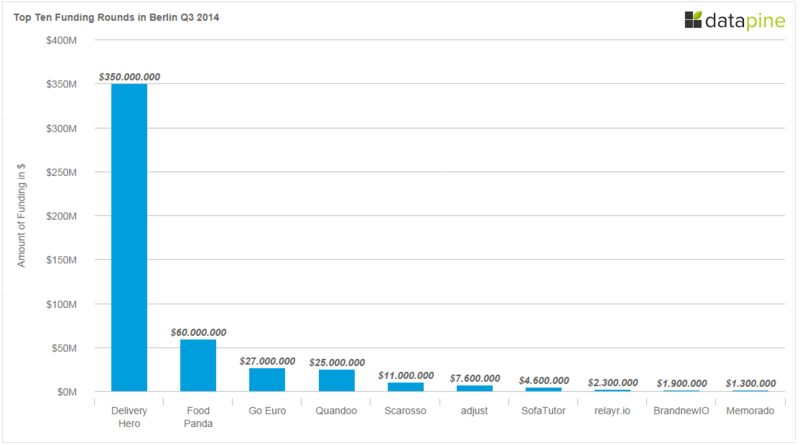 The second highest amount raised in Q3 goes to Rocket Internet’s FoodPanda with a $60M Series D round raised from existing investors. GoEuro raised $27 million in Series A funding led by New Enterprise Associates. Quandoo, an OpenTable competitor, announced a round of $25 million in Series C financing led by Piton Capital. Other investors in the round include Holtzbrinck Ventures, DN Capital, the Sixt family and Texas Atlantic Capital. Scarosso, a startup for high-end, handmade Italian shoes, raised a round of $11M. The investors are NEO Investment Partners, DN Capital, and IBB’s VC fond Kreativwirtschaft Berlin. Adjust (formerly Adeven), an app analytics startup, raised an additional $7.6M of funding from ACTIVE Venture Partners, and existing investors Target Partners, Iris Capital and Capnamic Ventures. SofaTutor raised a $4.6M round led by the school book publishing company Cornelsen and includes existing investors Acton Capital Partners, J.C.M.B. and IBB Beteiligungsgesellschaft. relayr, maker of the WunderBar, an Internet of Things (IoT) hardware dev kit which resembles a chunky chocolate bar, closed a $2.3M seed round from unnamed U.S. and Switzerland-based investors to increase their US expansion. Brandnew, a startup that helps brands create native ad campaigns for Instagram and Pinterest, raised a total of $1.9M in seed funding with $1.1M coming from a city grant. Memorado, a brain training games website created by two former Wimdu employees, received a $1.3M seed round from angels that include founders from Zalando and Hitfox. When it comes to the distribution of rounds the quarters are very similar. Please note, the chart is slightly biased. 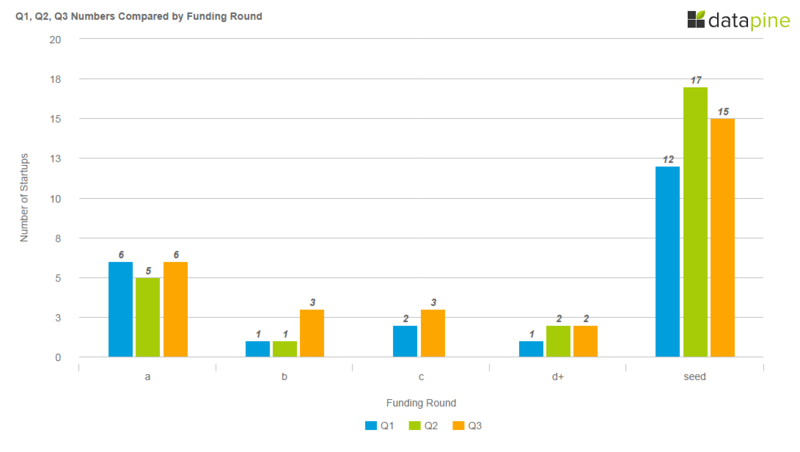 In Q1 there were five startups that raised funds where a round was not identified (or was crowdfunded), and in Q2 there was one unknown round. A Look Deeper: Who Raised What? For Q1/Q2, we included a chart for the Average Funding Amount per Venture. Given the scarcity of reported amounts, we did not have enough data to replicate the chart for Q3. Of those companies that disclosed a Seed Round, only seven out of fifteen revealed numbers, and only one for both Series A and B respectively. All three companies that raised Series C reported their numbers, which ranged from $4.6M to $25M. Instead, this quarter, we’ve decided to take a deeper look at the companies, what they raised, and from whom (not including the top ten companies listed above). Juniqe, an online gallery the delivers curated art at affordable prices, secured a seven-figure funding round from investors just five months after launch. Clue, an app that enables women to track their menstrual cycles, raised a second seed round this year. Clue brought in an additional $658,900 this quarter from angel investors including Björn Jeffery, CEO of Toca Boca, and previous Spotify executives Andreas Ehn and Sriram Krishnan. 360dialog, a startup that offers in-app messaging, retargeting, emailing, and push notification, received a six digit investment from angel investors. Retail analytics startup 42reports raised a seven digit Euro investment from Tengelmann Ventures and IBB Beteiligungsgeschaft’s VC fund Technologie Berlin. Thermondo, a startup that helps residential customers get an efficient and environmentally friendly supply of heat, parted with 20% equity for a seven digit investment from E.ON, Germany’s largest energy company. Book A Tiger (BAT), a cleaning service that is a competitor to Rocket Internet’s Helpling and various American companies, announced a seven-figure seed round from a number of investors led by DN Capital. Sablono, a construction software startup, raised a seed round from High-Tech Gruenderfonds (HTGF), Hasso Plattner Ventures and the construction software manufacturer Nemetschek. Vamos, a location based event guide app, closed a six digit round from angels including Soundcloud’s CTO and co-founder Erik Wahlforss. BitBond, a bitcoin lending startup, raised $267,300 in a seed round from Point Nine Capital’s, which happened to be their first investment in a bitcoin startup. Stilnest, the “publishing house for jewelry”, received a higher six digit investment from IBB via VC Fonds Technologie Berlin, K-Invest from Pforzheim and other business angels. Blogfoster raised a $670,000 seed round from the VC Fonds Technologie of IBB investment company, the Axel-Springer-Accelerator Plug and Play collected and a private business angel. ParkTag, a parking spot swapping app, raised $680,000 from High-Tech Gründerfonds and six industrial groups: BASF, Deutsche Telekom, Siemens, Robert Bosch, Daimler and Carl Zeiss. Quobyte, a SaaS cloud startup that is headquartered in Boston but has its R&D in Berlin raised a seven figure Series A round from Target Partners and High-Tech Gründerfonds. Bloomy Days, a flower subscription delivery service raised an undisclosed Series A round Christophe Maire and Otto Capital and new investor Intan Group. Deltamethod, which produces online marketing software has closed a seven figure Series A round led by eVentures. Trip.me a travel booking startup announced undisclosed Series A funding led by Recruit Holdings of Japan. Patience.io, an edtech startup that enables educators to create their own online learning applications and sell their courses through their own websites, closed a Series A round led by Holtzbrinck Digital and RI Digital Ventures. Twago, a freelance marketplace, closed a Series B round of an undisclosed amount. Backers included the Randstad Innovation Fund, and existing investor Michael Oschmann. Wine in Black, an ecommerce shop for premium wines, raised a seven digit Series B round involving new investor b-to-v and previous investors Project A Ventures, Bright Capital, e.ventures and Passion Capital. You can’t write about Q3 and not mention Rocket Internet. In August, Rocket sold 10% of its company to Philippine Long Distance Telephone Company (PLDT) for $445M. They then went public the first week of Q4, but results were underwhelming. More on that in our upcoming Q4 report. Q4 appears to be off to a strong start. Only a week in and already Rocket has IPO’d, ZenMate (a personal favorite) raised $3.2M, and Adtech startup Remerge secured $1M in seed from Point Nine Capital. Be sure to subscribe to our newsletter in the right hand column to get access to our upcoming 2014 Funding Analysis. Interested in our dashboards? Sign up for datapine’s 14 day free trial.